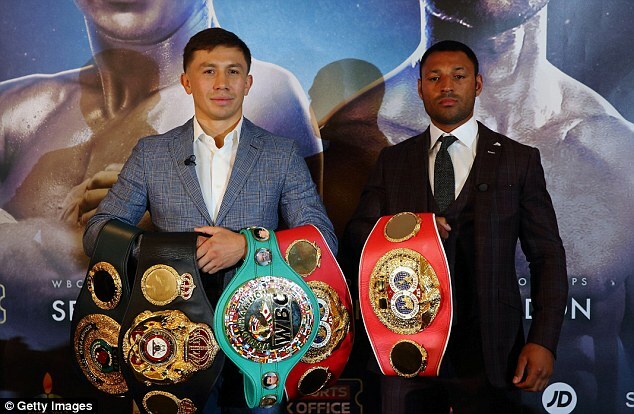 As the two Transatlantic blockbuster fights approach, Canelo Alvarez has no doubt that Kell Brook will be knocked out when he moves up to middleweight to challenge Gennady Golovkin in London. The Mexican rival to Golovkin, the best pound-for-pound fighter in the world, also rejects criticism of his failure to meet GGG in the fight he accepts the world wants to see. In doing so, he vows to fight Golovkin next year, after beating Liverpool’s world light middleweight champion Liam Smith in the Dallas Cowboys Stadium on September 17. 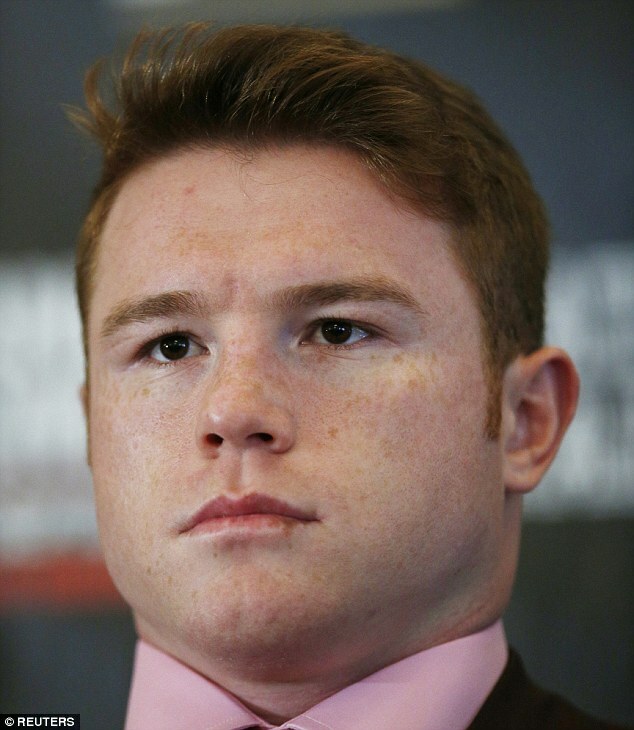 Here, Canelo gave his predictions ahead of his bout with the Liverpool native. 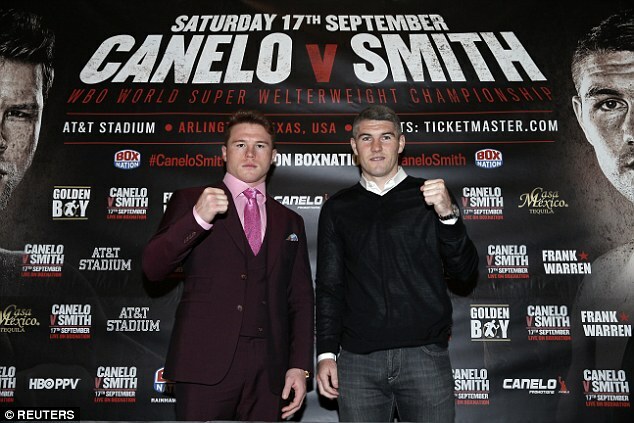 How good a boxer is Liam Smith? I’ve seen a couple of his recent fights, his style is a come forward style. He takes punches really well, he’s very strong, very powerful, he likes to fight. It’s going to be a great fight. There’s always negative criticism out there, especially in this case. Just because no-one really knows his name, he’s not a big name in the United States, it doesn’t mean he’s a bad fighter. There are always going to be critics who put people down, put him down. We’re going to fight and, come September 17, see if he’s the fighter he says he is. Amir Khan has a lot of fans, a big following and you get to see my name become more popular to the (UK) fans out there. I appreciate my international fans all over the world. 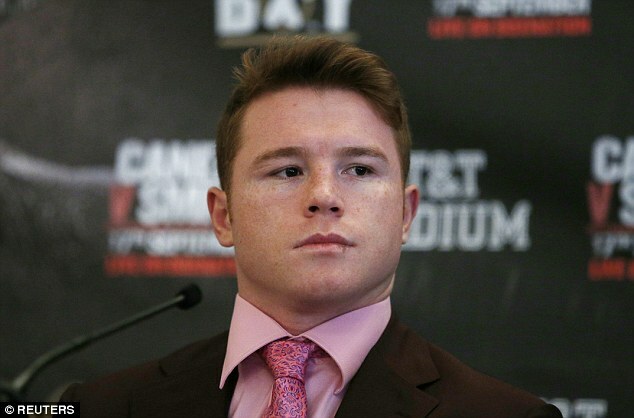 Why has your fight with Gennady Golovkin still not happened? The critics out there are going to use their power to try and make the fight, with good comments or bad comments, or criticising me for the fight not coming across. Big fights like this take time, negotiations take time, there are things behind the negotiation table that we need to get together and come across. Especially with the WBC organisation, they wanted to put in a timeline and their rules and input into the negotiation – this is a negotiation between promoters and fighters, not with the WBC, they can’t dictate and try and pressure me into this fight as soon as possible when I had other things to take care of in my personal life. The WBC wanted to put pressure on me, making timelines, I’m not going to let anybody pressure me – I’m a fighter and I had issues I needed to sort out first. But it’s going to happen, it’s a fight that has to happen, I want it to happen, the world wants it to happen. It’s just a matter of when it’s going to happen, it will happen soon and sooner rather than later. We spent 24 days in Miami until we finalised the case. Why does the WBC have to put on a timeline? There’s no reason for them to dictate anything in the negotiations for a fight or a fighter, there’s the belt but my personal issues were in court, we were in court for 24 days and first things first. It seems some of your fans are turning against you because of this? My fans are going to support me through thick and thin, 100 per cent they’ll always support me. There’s a group of fans that are criticising me but my fans are there – that group of fans criticising me don’t concern me. Is the problem your weight? 154lbs is my weight. I’m taking care of my career step by step and I’m going in the direction I’m going, the direction of my career, not the direction of any other fighter. Right now, it’s 154 and eventually I’ll get there (160) but it’ll be at my pace and in my time because it’s my career. I don’t prepare myself for a specific fighter, I don’t choose a fight to prepare myself for another fighter. I prepare myself to fight, I prepare myself for myself. There is no doubt I am The A-side over GGG. The fight will happen when I want it to, that’s the way it is. Is Brook being sacrificed? No doubt about it. We all know what’s going to happen in the fight, I’m not too interested in the fight itself but he’s going to knock Brook out. 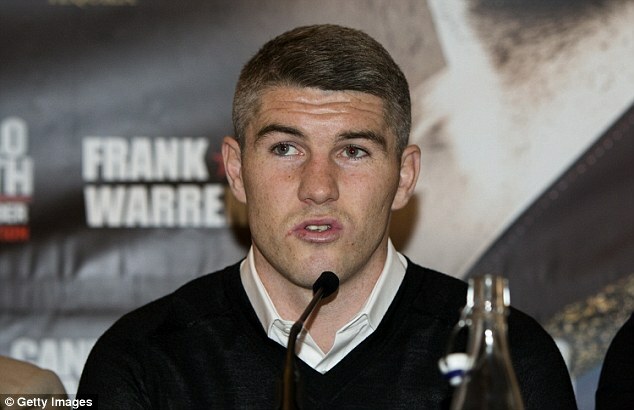 My priority right now is Liam Smith in September. If everything turns out good, God willing, I’d like to fight again in December, that’s the plan. I’m very happy with the decision, the AT&T Stadium is a great venue, a very historic venue and I’m happy with it – I think it’s great to fight in Dallas. Do you need Golovkin for your legacy? 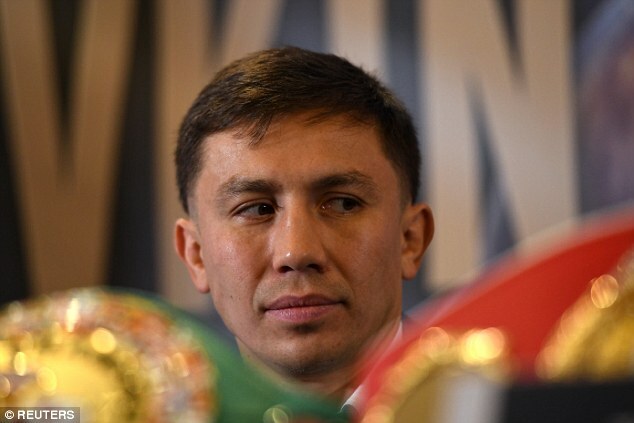 The fight’s going to happen, it has to happen, but he hasn’t fought anybody so why would you put ‘GGG’ in the history books if he hasn’t fought anybody? Why would fighting ‘GGG’ make someone a Hall of Famer when he hasn’t fought anybody? Erislandy Lara’s one of the name’s other there, a 154-pounder, a great fighter that I fought, he’s a great, great fighter. 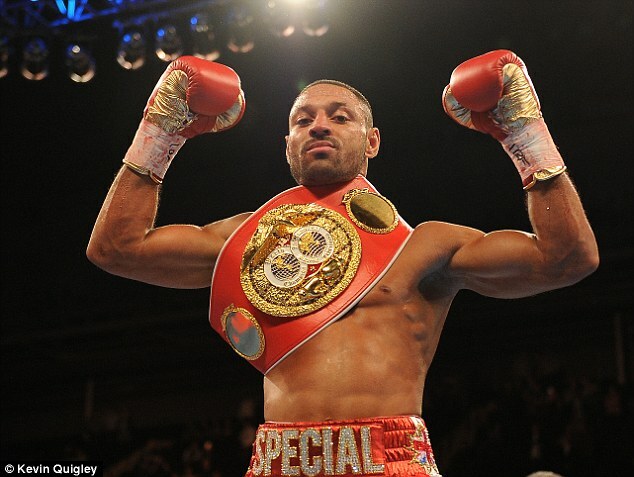 He’s calling him (Golovkin) out and he isn’t taking the challenge, and he’s a great fighter. Lara would give Golovkin a lot of problems. How does Smith compare to other British fighters you have fought? They’ve all been good fighters. The styles of Mexican fighters and fighters from England are come-forward styles, they’re great styles. How is your English now? Getting better. I understand a lot but it’s very difficult to speak, but little by little. I do understand it and it’s very important for me to learn it. The rankings, the reporters make the rankings. There are so many great legendary Mexican fighters out there and I never like to answer that question about the rankings, it’s up to the reporters to decide and the fans and I leave that to the boxing writers. I don’t know where they rank me, to be honest I don’t pay too much attention to it, I just dedicate myself to training, being in the gym, fighting, but we’ll find out at the end of my career. Only time will tell, in the sport of boxing you never know. I have high hopes for a long career, maybe nine years, that’s my goal, but you never know.